Dior Miss Dior Eau de Parfum: I think this fragrance is the perfect combination of citrus and floral scents. You can definitely smell jasmine, which is probably my favourite scent, but those sweeter, fruity notes definitely come through as well. This is great for daily wear; it’s very well balance and not too pungent or overly heavy on the nose. The fragrance softens nicely throughout the day but still leaves a lovely, light scent. When I do wear a fragrance, this is often the once I reach for. 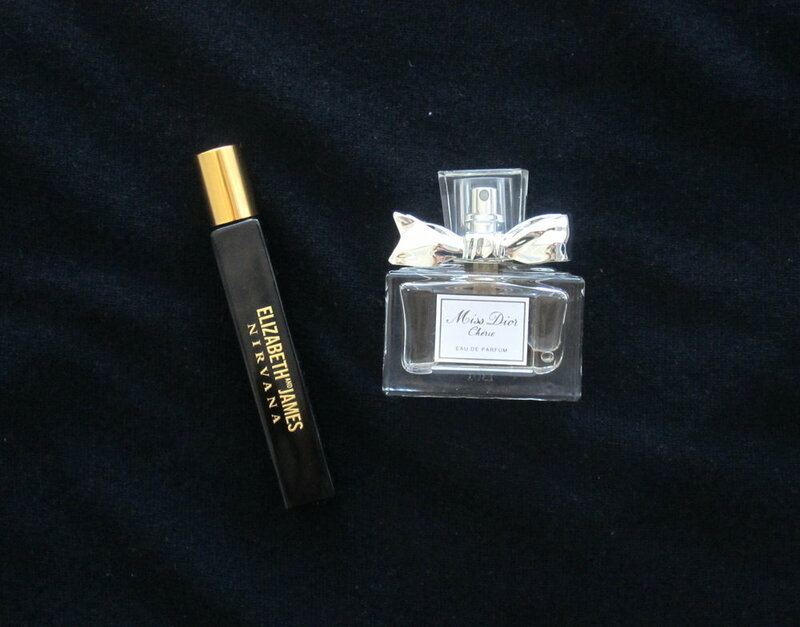 Elizabeth and James Nirvana Black: This fragrance is probably my biggest scent obsession. It’s definitely a dark, sophisticated scent and yes, I would agree that it’s quite unisex – it does remind me of my dad’s cologne a bit. I love it! You really get the violet at the forefront and the lighter vanilla notes at the end. I’m obsessed with this, every time I put it on I just want to keep smelling myself (I know, that’s weird). Floral and the sweet are really well balanced and even though it’s definitely a heavier scent, I still love wearing it all day long. These are the two fragrances I’m really digging at the moment; they’re quite different but both amazing in their own way. What are your fav scent right now? I’m always looking for recommendations!